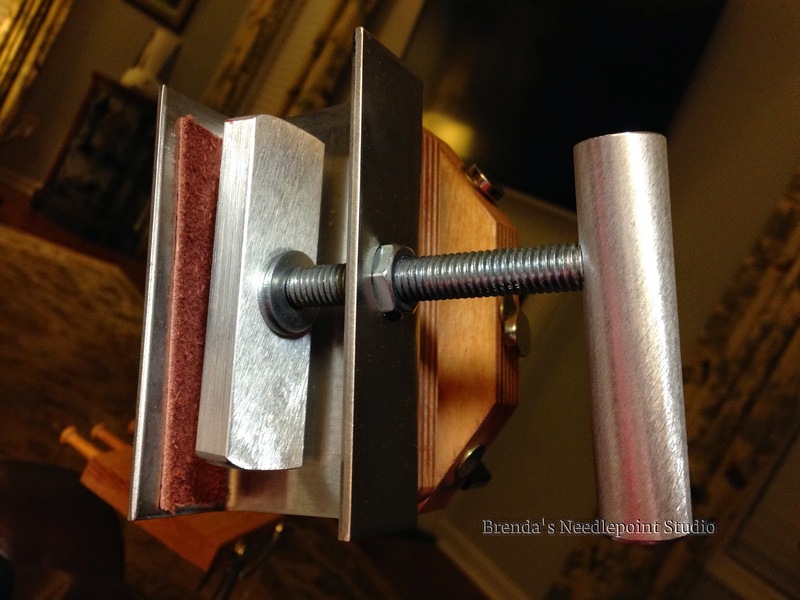 February 3, 2015--I really do love my floor stand from K's Creations but had a problem with the clamp. Discovered I had totally stripped the clamp's screw and it would no longer hold stretcher bars in place. You can see this in the first picture. Frantically I contacted the fine folks at K's using the contact tab on their web site and Brett Schulle immediately responded, requesting I mail the clamp to him for repair, after which he would mail it back to me. So off to the post office to mail the clamp, which by the way, was very easy to remove from the stand's long horizontal arm. And in no time at all, I received the fully repaired clamp in the mail. Easily got it screwed back onto the arm and am in business again, happily stitching. You may notice there is a piece of leather on the clamp's bottom plate. I put this in place using "glue dots" and find it really helps to hold stretcher bars with less tightening of the screw. This is because I stitch in the well, tacking the canvas unto the back of my stretcher bars. 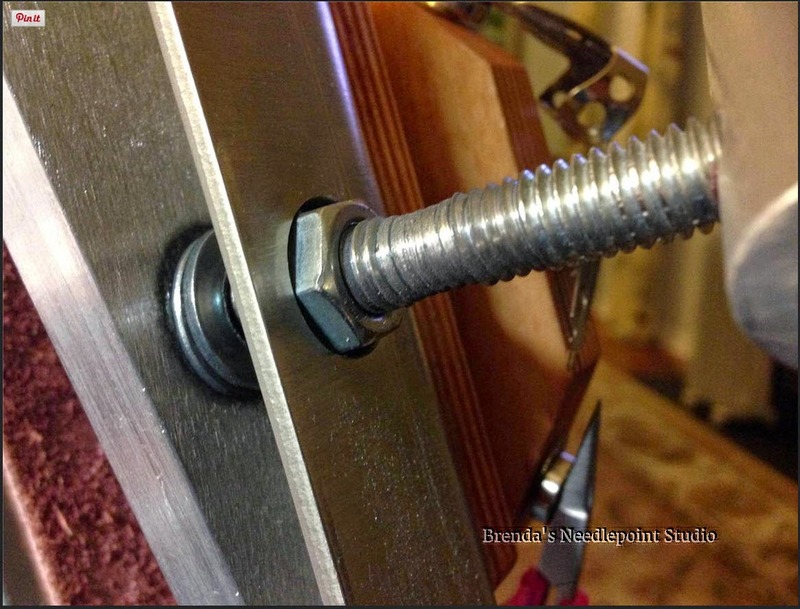 All too often the tacks would slide and slip in the clamp, causing me to overtighten the screw. Now those tacks settle into the soft leather with no slippage. Easy solution and hope it may help someone who may have this problem. I too stitch in the well, and will go and find a leather patch! Thanks! Great idea! I love my K's stand, too, and am a fellow well stitcher.